Stretching over 176 square miles of Sonoran desert, the city of Peoria is a major suburb of Phoenix and also encompasses Lake Pleasant, which is Arizona’s second largest lake. Because of its close proximity to the city and its large amount of nature, in 2008, Money Magazine ranked Peoria as one of the 100 best places to live. Other attributes of Peoria are its 35 miles of nature trails, a multitude of shopping and dining opportunities, well-planned neighborhoods, highly rated schools and spring training for major league baseball teams, the Seattle Mariners and the San Diego Padres, inside the Peoria Sports Complex. Numerous other attractions are also available, such as the Challenger Space Center of Arizona, the Peoria Performing Arts Center, the state’s best golf courses and tennis courts, and renowned shopping and dining along Bell Road Corridor and on 83rd Avenue. On Lake Pleasant, which encompasses 10,000 acres, you can enjoy water sports and activities that are foreign to other dry areas of Arizona. 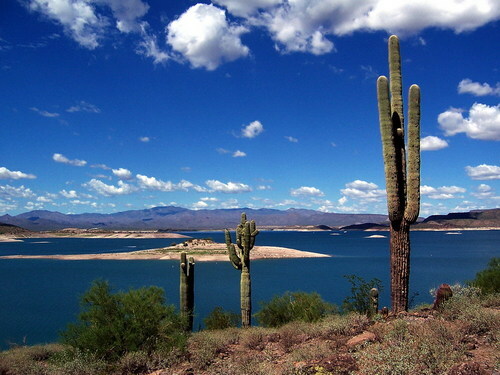 Camping, boating, sailing, jet skiing, swimming and fishing are just some of the options that Lake Pleasant offers. Take a look at these Buy Owner properties currently for sale in Peoria!